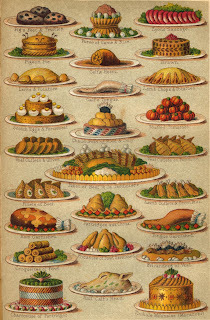 We have just acquired a copy of Mrs. Beeton’s Everyday Cookery. This edition was published soon after her death in 1865 at the age of just 28. The Preface makes reference to the late Mrs. Beeton and states that this volume was to have been the first of a series of “Practical Manuals” called “All About It” books and “was approved by Mrs. Beeton in a Prospectus issued a few months ago”. Although she is not as well known in the USA Isabella Mary Beeton is one of the towering figures of Cookery publishing. 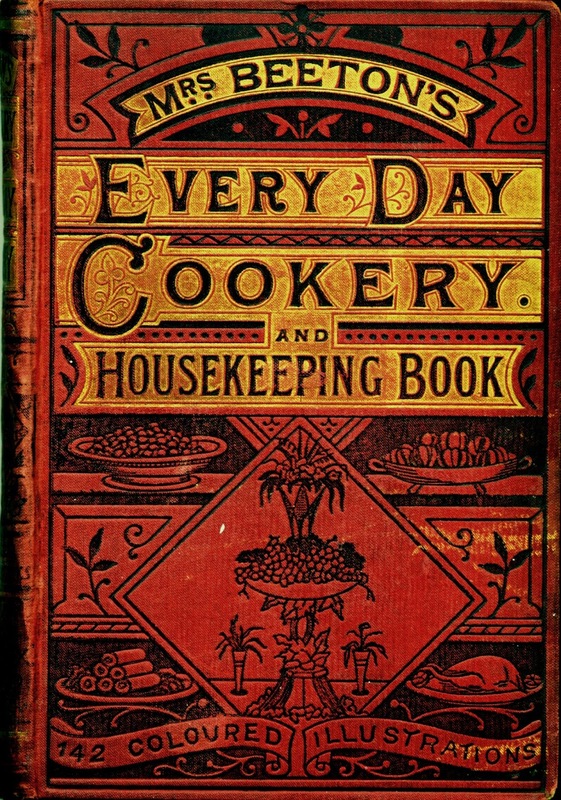 With over 400 densely packed pages, that must have strained the eyesight of a Victorian reader, Everyday Cookery contains over 1600 “practical receipts” as recipes were called in her day, numerous wood engravings and 142 colored illustrations. Isabella Beeton is best known for her previous work “Mrs Beeton's Book of Household Management” published when she was only 24. Her husband Samuel Beeton was also her publisher. His company published Uncle Tom’s Cabin in Great Britain as well as various periodicals aimed at the woman and home and it was on these that Isabella cut her journalistic teeth. It is sometimes said that Isabella used recipes from other writers including her predecessor Eliza Acton, nonetheless her achievements are remarkable for one so young. Unfortunately not long after her untimely death from a form of septicemia associated with childbirth and miscarriage, Samuel Beeton’s publishing company collapsed with the rights to Isabella’s books being bought by the publisher Ward Lock who continued to reprint them for many years. I love that you are highlighting some old cookbooks and bringing them back to us. I have several old ones that I look at often. My husband's grandmother left me her cookbooks which I was so grateful. Most of them are from the 60's and 70's. I also have The White House Cookbook from 1907. I truly love cookbooks both new and old. Your blog design is really pretty. Blessings to you and your blog! Diane Roark Please visit my food blog anytime. www.recipesforourdailybread.com I look forward to receiving your new posts. Thanks for those kind words Diane, I have visited your blog and I am most impressed by your videos.